OverviewAre you still searching for the perfect SUV? For those in the market for powerful, spacious, and adventurous sport utility vehicles, you’ve come to the right place. Our goal at Oxmoor Ford is to give our Louisville, Kentucky area customers as much information as possible when deciding which new SUV is right for them. That’s why we’re presenting a selection of Ford SUVs below to help narrow down your choice. Read our research below, then contact Oxmoor Ford with any questions you have. Our friendly staff is standing by to show you these Ford SUVs in person, so visit us today! Lease a Ford SUV at your local Louisville, KY dealership. For those finding themselves constantly ahead of the curve, the Ford Edge may be the right fit. 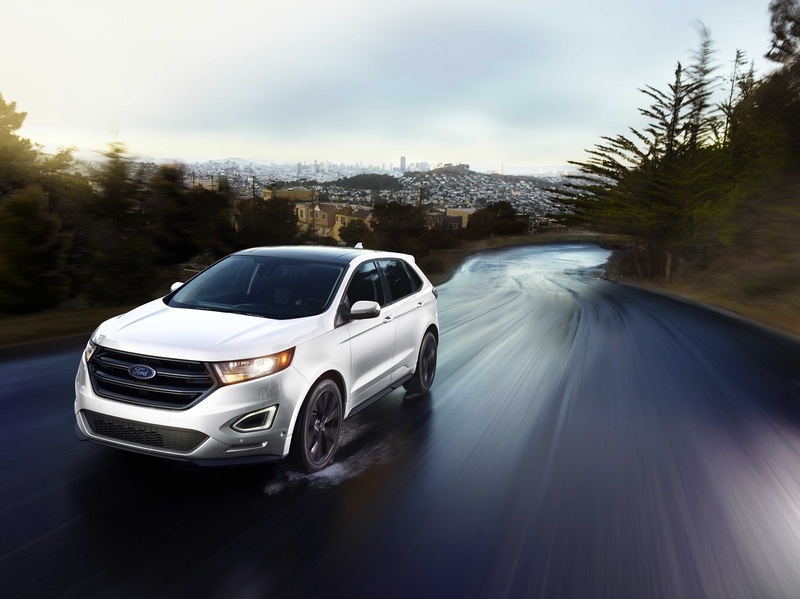 The Ford Edge brings avant-garde style into the world of SUVs, with its available 21-inch wheels, titanium interior, and panoramic vista roof. With available colors from “White Gold” to “Ruby Red” to “Shadow Black,” standing out is always in for the Ford Edge SUV. As expected, the Ford Edge also brings its “A” game in performance. Three different engine options are available, including a twin-turbo 2.7-liter EcoBoost engine that produces an impressive 250-335 horsepower and up to 380 lb.-ft. of torque. Combined with the latest and greatest in automotive technology, the Ford Edge leaves little to be desired by those leading the charge. 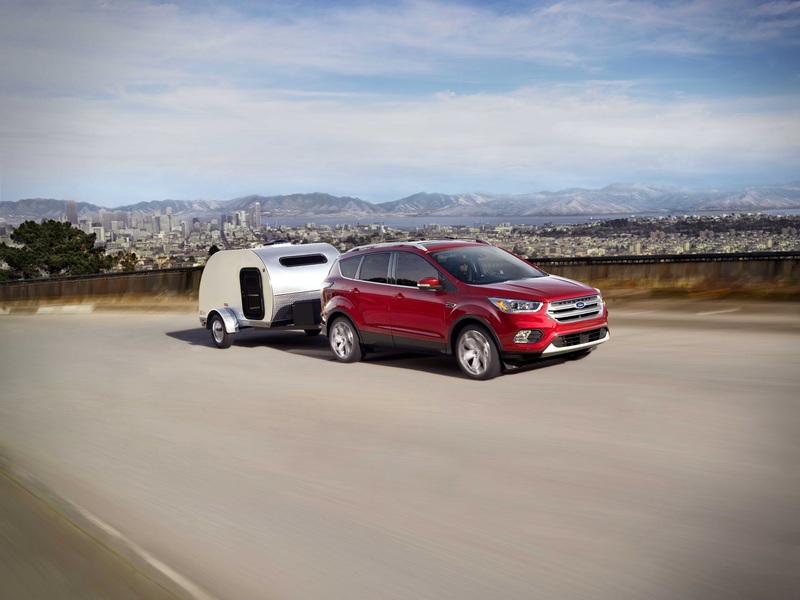 Departure from the ordinary is perhaps most possible in the Ford Escape SUV from Oxmoor Ford. Priced with the lowest starting MSRP among the vehicles listed here, the Ford Escape brings exhilarating sport utility to all who take up the challenge. But don’t let the price tag fool you, this SUV is loaded with smart and cutting edge features. Let the available EcoBoost engine with Auto Start-Stop Technology save you money on fuel while navigating the stop-and-go of the city. Plus, available Enhanced Active Park Assist can help you with both parallel parking and reverse perpendicular parking, leaving all parking worries behind. This technological wonder could be yours after visiting Oxmoor Ford in Louisville, KY! Finally, the Ford Explorer is for those seeking the whole package, and more. And for well over two decades, that group has proven to be multitudes of people as the Ford Explorer has been the best-selling SUV in America for 27 years (based on cumulative OEM reported U.S. sales for all SUVs from CY 1990 – CYTD May 2016). Let the ultimate in Ford SUVs be your absolute adventure vehicle, with its available Intelligent 4WD with Terrain Management System, which allows you to shift on the fly into four different settings to match whatever road less traveled you’re conquering. Plus, with three rows of seating up to seven, you can bring the whole gang along too. Test drive this classic Ford SUV with Oxmoor Ford today! While we love the above Ford SUVs for their technology, style, and full capability, Oxmoor Ford has so much to offer at our Louisville, KY dealership. If you’re looking for all-American muscle in the Ford Mustang, or a Ford F-150 for your incredible hauls, browse our new Ford inventory further to see our entire range of models in stock. Once you’re ready to take one for a spin, contact Oxmoor Ford and we will take to the road together!